Two weeks ago, we brought you a story from Knoxville, Tennessee, about how that mid-sized city had placed a wager on the arts and watched it pay off big. Several days ahead of our feature, the Knoxville News Sentinel published a story about a report from Americans for the Arts that suggests nonprofit arts activity in Knoxville generates roughly the same amount of local and state tax revenue as the University of Tennessee football program, at roughly $18.6 million each. We have to admit: News like that about a dyed-in-the-orange-wool football town like Knoxville surprised us. So, we got back in touch with Liza Zenni of the Knoxville Arts & Culture Alliance to be sure we weren’t dreaming. She shared a few more nuggets that highlight the financial impact of the arts in Knoxville. The source of the data is the Arts & Economic Prosperity 5 report, published by the nonprofit advocacy organization Americans for the Arts. 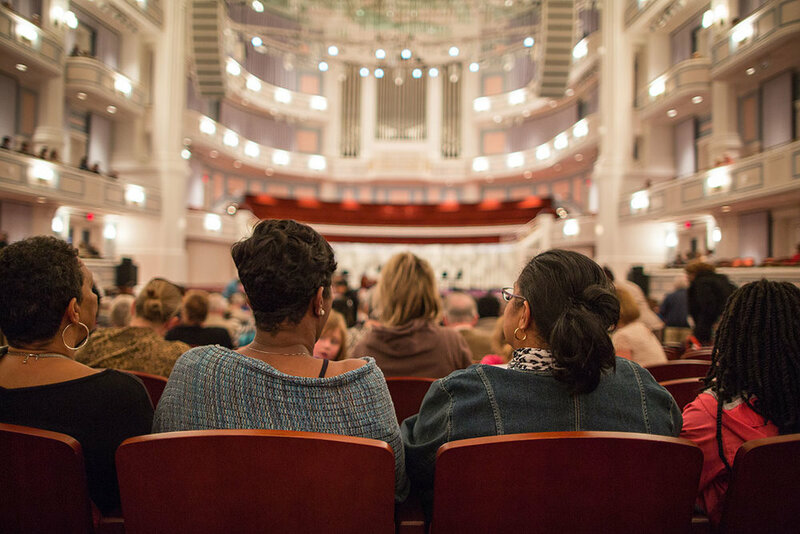 The study examines nonprofit, arts-related economic activity across the nation from surveys conducted in all 50 states and the District of Columbia for the 2015 calendar year. The report identifies 341 distinct arts communities ranging in population from 1,500 to 4 million. Most significantly, the overall estimated economic activity from nonprofit groups alone amounts to $166.3 billion (that is a “b”’) annually. Add in the for-profit arts activity, and the total balloons to an estimated $730 billion per year, around 4.2 per cent of the nation’s GDP. If these numbers are accurate, they represent a bigger slice of the economic pie than agriculture, tourism, or construction. In Knoxville’s case, Zenni also cited a U.S. Census survey that indicated 9 per cent of the Knoxville area population could track its livelihood to the arts. By this measure, if “the arts and culture” were a single organization, it would be the sixth largest employer in the region. In our article, we took note of the historic beauty of downtown Knoxville. It turns out that this, too, owes a great deal to the Knoxville arts ecology. Zenni tells us that at least 23 buildings in the central business district owe their “reanimation” to the city’s arts culture. “You could say that Knoxville is the city the arts re-built,” Zenni said. She added that the downtown residential population has tripled during the 15-year period they have been tracking this sector, which gives credence to the oft-cited claim that urban residential development follows the arts. If you build it … well, you get it. Jobs. Tax revenues. Geographic revitalization. Tourism. It’s all here, all the elements that point to investment in the arts as a no-brainer avenue for any community looking to amp up its economic health. But circling back around to our Knoxville ramble in the BS, arguing the merits of arts and culture solely based on dollars and cents is a strategic error. Arts and culture are at a disadvantage on the battlefield of monetary worth. Face it: The relative merits of a strip mine or fracking operation’s spreadsheet is going to leave the vast majority of arts organizations beaten and bleeding. This is not the hill to die on in defense of a robust culture of creative living in our society. None of this is to suggest that just throwing money at something loosely called “the arts” is the only answer, though certainly the AEP5 study indicates that every public dollar spent on the arts leads to a substantial return on investment. Public investment has its place, and that kind of seed money is often the difference between a cool idea dying on the vine or bearing fruit. Nor is this to recommend a centralized bureaucracy to oversee the growth of an “organic” creative culture. A community where one organization wields overweening influence over the arts community is a breeding ground for stagnation. The Knoxville arts ecosystem benefits not only from public funding and overt demonstrations of support from local business and governmental leaders, but also from its diverse array of vital organizations that present the arts and advocate for them. They work cooperatively to nurture not just each other, but also the up-and-comers who are the foundation for ongoing cultural growth. Create viable opportunities for creative work to flourish. Then, get out of the way. Don’t get your knickers in a twist if somebody uses “our money” to create something that shocks or offends. Don’t underestimate your community. Assume your audience is smart and wants to be challenged intellectually. Keep an eye on things like affordable housing; most artists aren’t going to live in shiny, high-rise condo developments. Most important: Leave room for the unexpected, the random, and the frightening. Art is not for the timid. And fortune favors the bold.